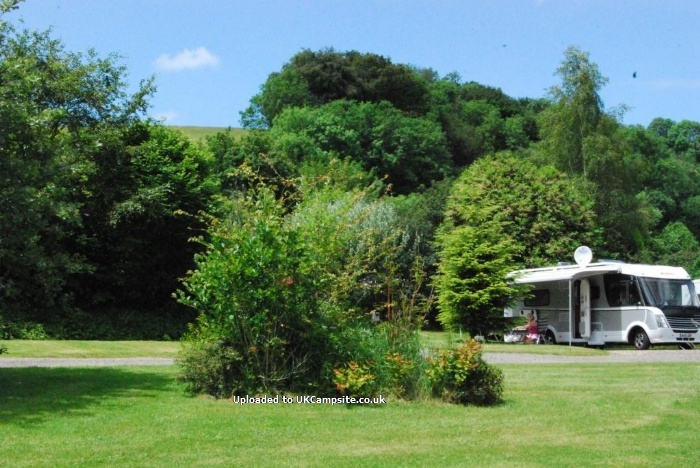 Waterrow Touring Park is exclusively for adults and is situated in a tranquil valley surrounded by beautiful countryside close to Exmoor. 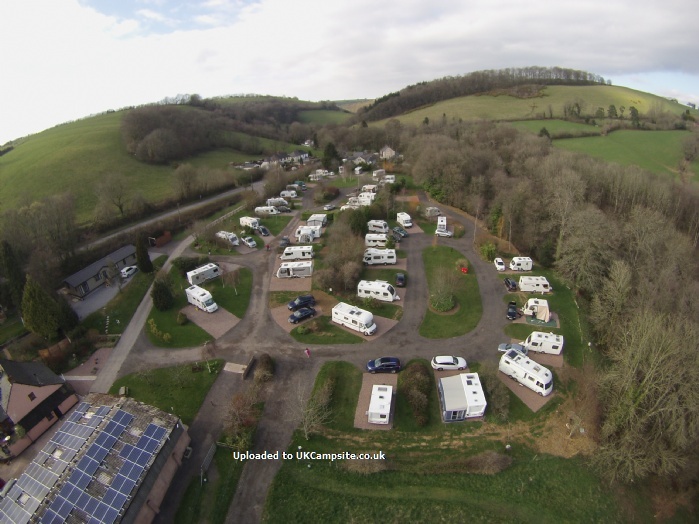 There are 40 all-weather hardstandings for caravans and motorhomes, 27 of which are fully serviced, plus a grass tent area for a maximum of 4 tents. 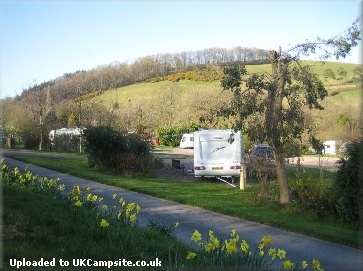 Waterrow Touring Park is open all year, is a registered Private Nature Reserve and a County Wildlife Site. 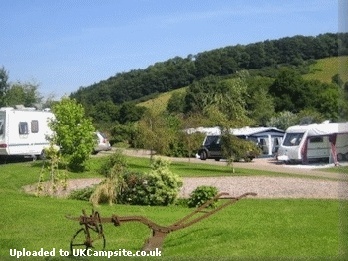 The spacious pitches are screened with plants and shrubs, all enjoy views of this lovely valley. There is abundant wildlife here with many different species of birds, i.e. buzzards, owls, dippers, kingfishers, gold finches etc. You may also see deer from the Park. 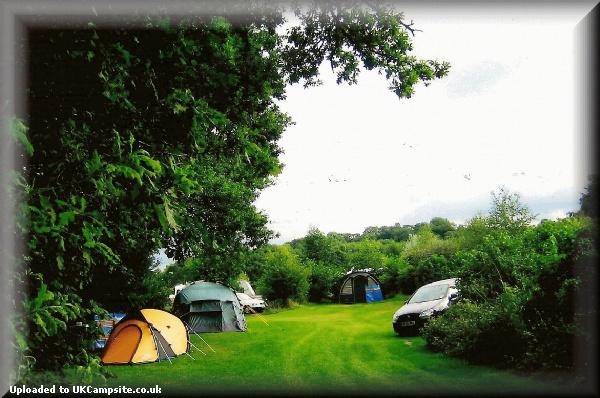 Waterrow Touring Park has won many awards: Independent Park of the Year 2007 with MMM, Practical Caravan Top 100 Parks 2012, David Bellamy Five Year Gold Award for Conservation, MMM Most Memorable Sites and Calor Gas Most Improved Park in England Award (2003). 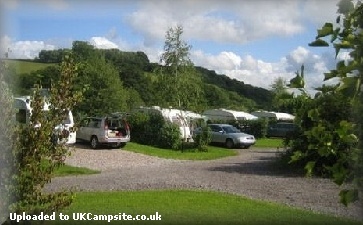 We are rated five stars with the Tourist Board and five pennants with the AA. 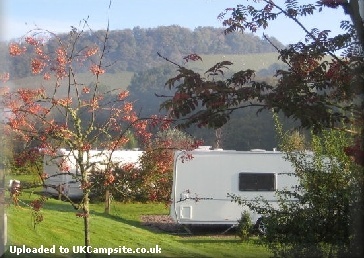 You can store your caravan with us in our secure storage area, your van being put onto a pitch ready for you and put away when you leave, plus we have recently allocated certain pitches for Winter and Summer seasonal. Why not try one of our watercolour painting holidays, beginners or improvers will enjoy learning skills or building on the skills they already have. Courses are five consecutive days, maximum of eight participants. Check our website for more details of the above. Exmoor National Park, Somerset Levels, West Somerset Railway, Knightshayes Court, Hestercombe Gardens, Killerton House, Dunster Castle. Both the East Devon and North Somerset coastlines are within an hour's drive. M5 Junction 25 (Taunton). Follow the A358 (signposted Minehead) around Taunton then take B3227 signposted Wiveliscombe and Barnstaple. At Wiveliscombe cross straight over traffic lights towards Waterrow (3 miles). In Waterrow, Park on left 500 yds after passing the Rock Inn. If approaching from the South, leave M5 at Junction 27, turn left onto the A361, follow to the first roundabout where you turn right and on through Bampton. Turn right onto the B3227, Park on right in approx 7 miles.